I would consider myself an occasional viewer of Bill O’Reilly on Fox. I can’t make up my mind as to whether I like him or not. I usually agree with his daily memo and enjoy the show when Miller is on but on other occasions I find O’Reilly annoying especially when he talks over Megyn Kelly who is way, way smarter than he. O’Reilly always loses me when he talks “expertly” on religion often just mouthing a half-baked Roman Catholic theology that seems to disparage anyone who takes the Bible seriously or sees it differently than he does. For that reason I skipped O’Reilly’s best-selling Killing Jesus although it would be a subject I’d otherwise have an interest in. When O’Reilly wrote Killing Lincoln I was a bit more interested since I thought he would be better at American History than he would be talking anything theological. Never-the-less, I skipped Killing Lincoln (and Killing Kennedy) as well. When Killing Patton came out I admit to being intrigued. As a child dad told me that all the military police in his unit, including officers doubted that it was a car accident that did the famous general in. According to my dad speculation ranged from the Werewolves (post-war Nazi Hitler Youth who were suppose to create havoc among the occupying allies) to the Russians! No doubt much of what was said was rumor and GI gossip yet these were Military Police whose intuition and speculation could be spot on despite the official reporting of what happened. Patton’s death has always been shrouded with a degree of mystery and as I read Killing Patton (a gift from wife as I recovered from a major surgery) my hopes were that the authors had uncovered some new evidence or smoking gun that could put the matter to rest. At least 50% of the book is given to documenting Patton’s well-known battlefield exploits especially as he leads his Third Army across France and into Germany in a relentless campaign that deserves more attention that it usually receives. The book also covers Patton’s personal side, the slapping of two soldiers who would now be diagnosed PTSD, his big mouth that famously gets him in trouble with Eisenhower, how he irritates Monty and dislikes the Russians. Patton is militarily brilliant, colorful, pompous, a believer in reincarnation and to his superiors a pain in the hind quarters. Personally, I think the movie Patton starring George C. Scott was spot on in portraying the man and Killing Patton confirms the portrayal. The last half of the book was a bit more interesting to me as it built upon the idea that the car accident which took Patton’s life was no accident. O’Reilly and Martin Dugard (co-author) trace the possibilities of who might want Patton dead based on the scant available evidence, much of which has mysteriously disappeared over the years. Where the trail leads is quite interesting and in the interest of not giving a spoiler I won’t let on to where the finger ends up pointing. O’Reilly and Dugard claim that with each of their books they are not conspiracy nuts. Their method is to stick with the known facts and evidence and let the reader draw their own conclusions. I believe they have achieved that goal in Killing Patton. The authors also do a nice job of telling the reader of some of the larger than life characters that were Patton’s superiors, peers and contemporizes. Eisenhower looms large which is not surprising. Eisenhower’s war-time affair with his secretary Kay Summersby receives much attention as does Patton’s affair with Jean Gordon which nearly cost him his marriage with his beloved Beatrice. In fact the affairs of famous men seem to be a given. When President Truman attends the Potsdam Conference he asked if he wants either women or wine or both. Truman is horrified and tells the officer who made the offer to never ever suggest such a thing again. That an officer would naturally assume Truman would be interested says something about what was considered normal behavior for the high-ranking. It also says something about Truman’s integrity. Patton turns out to be right about the Russians and right about not trusting them-a fact Rooselvelt nor Eisenhower didn’t want to grasp or care. Had Patton had his way the Third Army would have liberated Berlin and the geographical lines of the Cold War would have been drawn very differently. But Patton did not get his way and while he was responsible for getting himself into much trouble one has to wonder if the American High Command was indeed that naïve regarding Stalin and the Russians and simply put Patton away because it was politically expedient to do so. After the war a large military parade was held in Berlin by the victors. George Patton was on the stand next to Marshall Zhukov, Hero of the Soviet Union and the Soviet General most responsible for defeating the Germans in the east. A unit of ISIII’s (Soviet heavy tank, IS stands for JS or Joseph Stalin) rolls by. Zhukov remarks to Patton that the heavy tank can fire seven miles. Unflustered Patton replies that any member of his Third Army that opened fire on an enemy tank at more than 700 yards would be court-martialed for cowardice. Zhukov has no response. 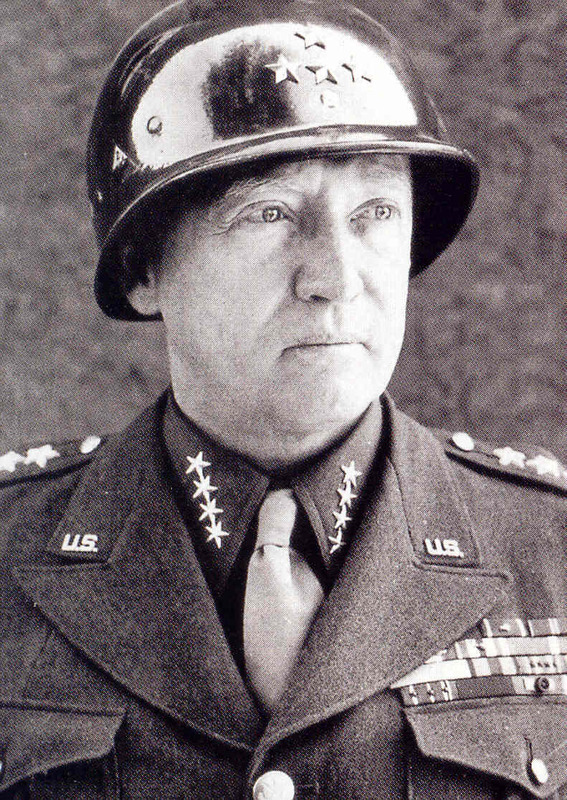 That was George Patton, old Blood and Guts, either loved or hated, he was a warrior. 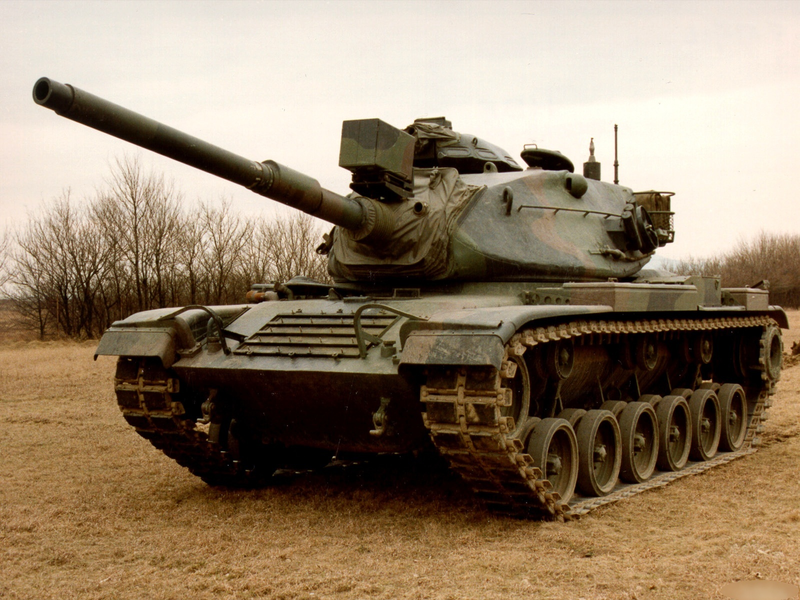 The M60 Patton Tank was replaced my the M1 Abrams tank. Abrahams served under Patton in the Third Army. I came to this blog post thinking this is going to be good and it was. 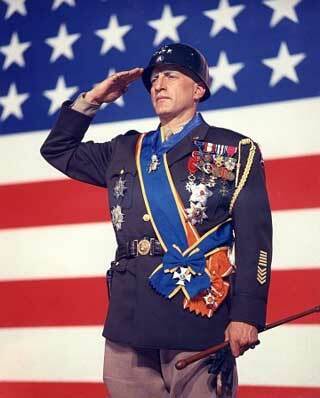 I liked Patton when I first enlisted into the US Army. I liked his attitude and his passion for the uniform which I could whole heartedly relate. I am just now really learning about the critiques of him. History is not good to Patton. I would like to know more. It could be very well someone offed him. It was not unusual in the past, in the military, for soldiers to turn on soldiers especially in times of war. There is a great deal of stress there. Perhaps he outshined another officer who worked harder to achieve their goals and he ultimately won the spot light-for being a jerk. Perhaps he just got caught up speeding and the car lost control on the many dangerous and windy roads in the German countryside. Your post is a quite introduction to Patton and is a good read. Thanks for stopping by. I recommend the book and was only a little surprised as to where the trial led.